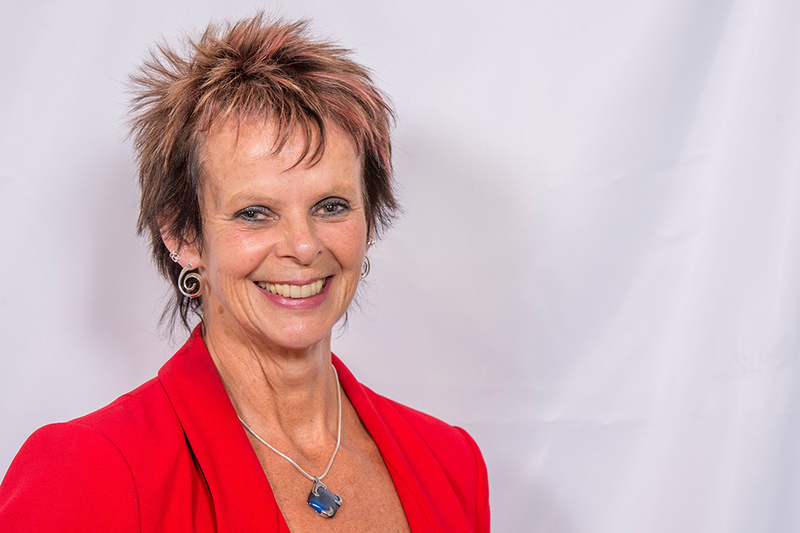 Below is the text of the speech made by Anne Milton, the Minister of State for Apprenticeships and Skills, at the Association of Colleges Governance Summit on 14 March 2018. Thank you. I’m very pleased to be here at such a significant time in the development of further education. In 25 years at the NHS, having trained as a nurse before entering politics, I saw numerous examples of people who went above and beyond the call of duty. And I have to say that I have seen similar commitment from governors. Commitment, wanting not just to do a good job, but wanting to do a job for those people in your care. You give up a great deal of your time. You take on a significant amount of responsibility. And you do it all as unpaid volunteers, for the benefit of your learners and your communities. You do it for the individual people within the care of your college. I can’t say it often enough, but I want to thank you for your dedication to public service. It’s very much valued. Let me talk to you about the good and the not so good. I want to give you one example of bad governance, about a college and its board. Some of the people had been on its board for over 20 years. Board recruitment was informal, based on personal acquaintance. The Principal recruited the Chair. There was no strategic vision. The senior executive team hid any bad news from the governors. The board never challenged them. No one had financial expertise. There was no governance support, just somebody to take the minutes. Two years after the Principal’s appointment, the Ofsted rating was inadequate. The board appeared only to realise that there were big financial problems two months before the college ran out of money. Happily, you’ll be relieved to know that isn’t a real college but I have heard stories like this that share some similarities. The story draws on real events that have actually happened. And for people like you who care passionately about FE and colleges, that should concern us all – it should trouble us. Trouble us because the governors of colleges like that can simply walk away, but each year hundreds of people will not have received the education and chances that they deserve. And on a more cheerful note, a good story about a college with rigorous challenge. Scrutiny and support provided by a governing body that helps to drive excellent provision. Financial expertise used to good effect. People achieving their learning goals, successful careers forged, failure at school forgotten by a new and inspiring learning environment. When I visited Nelson and Colne College recently, I was hugely impressed by the innovative approach of Lancashire Adult Learning. Parents are enabled to support their children’s learning while developing their own skills. Learning English, learning grammar, understanding the world their children are living in and what school demands of them. Courses for local groups enrich skills in communities. People with learning disabilities are supported to develop skills for everyday living and employability. What a fantastic example of integrated, high-quality, community-based learning. And behind all this have been the governors. Their strategic direction and support has transformed what was a failing local authority service into a very successful part of Nelson and Colne College. So it’s no surprise that Lancashire Adult Learning recently won the Adult and Community Learning TES Provider of the Year Award. But this is not possible without real drive from the governors. I can wish for all I want as Skills Minister but without high quality, effective governance, my wishes won’t be able to come true. My education and career didn’t follow a traditional university route. I have four children and so this job as Skills Minister matters to me on a very personal level. I share your commitment to a public service because serving the public or creating new and innovative opportunities and creating success for people who didn’t think they would succeed. It’s a time of great change for the country as we prepare to leave the EU. You will know first-hand that it’s also a time of change for colleges. I appreciate that area reviews have been time-consuming and involved difficult decisions for college leaders and governors. But, as the recommendations from the reviews are implemented, the changes will help make sure that the sector is better placed to respond in the future. The government wants this country to have a strong skills system that will help make a success of Brexit. But Brexit aside, we are finding exactly the same skills shortages as many countries face. We’ve introduced what could be seen as an ambitious programme of change. But we want vocational and technical education to be as highly regarded as academic education – if not higher. There is no reason why it shouldn’t be. T levels will sit alongside apprenticeships as technical study programmes for entry into skilled employment. The apprenticeship reforms are giving people skills and knowledge. We’re providing close support to employers as they adjust to the challenges of the new world for apprenticeships. We’ve seen levy payers take bold steps in using apprenticeship funding to bring significant changes to their organisations. And I know that many colleges have made great strides in the way they have responded to apprenticeships, helping to make sure that we put quality at the heart of the programme. I saw some fantastic apprenticeship provision at Loughborough College. Local schools have been so impressed with the sports coaching provided by Loughborough apprentices that two of the apprentices have been taken on as staff. You can’t get much better than that. And alongside this we’re investing in new Institutes of Technology to deliver higher-level technical skills, building on high-quality provision where it already exists. I know money is tight. Money is tight everywhere. In the FE sector it is particularly tight. I am amazed how well colleges respond. However my job will always be as a champion in government, lobbying for the important role of colleges to be reflected in the decisions that are taken. I want to ensure that FE providers have the right resources to deliver the reforms needed and the reforms that the Government wants to see. That is why I will be looking in detail at how far current funding and regulatory frameworks support the delivery of high quality provision and also crucially promote social mobility. I will do everything I can from my position and I need you to do everything you can – governors as leaders. We need to work together; sharing expertise and for me to make sure that you have the support where you need it. I was encouraged by the recent increase in the number of general FE colleges which have achieved good or outstanding ratings in Ofsted inspections. It’s great to see that the improvement and excellence you are all working so hard to achieve is recognised. To support your efforts, we’re already leading a number of initiatives. We’re working closely with AoC on the Industry Experts Programme, to attract more industry specialists into FE teaching. I think you’ve already heard from the FE Commissioner, Richard Atkins, about his expanded role to provide early advice to colleges in difficulty and help accelerate improvement across the sector. We’ve already funded development programmes for principals, finance directors, governance professionals and chairs of finance. But we want to do more. We want to promote good practice in strengthening governance more effectively, with the right balance of challenge and support. Charities occupy a special place in the fabric of society. The privileged status of charities carries with it a particular responsibility for trustees to demonstrate sound governance and to ensure public trust and confidence. The recent problems with Oxfam reinforce how important this is, particularly where large amounts of public money and the delivery of important public policy objectives are involved. They also show how important it is that charity boards are transparent and accountable, and that they protect their charity’s reputation. We’ll introduce new guidance to ensure that there is clarity about the regulatory expectations of governors as charity trustees and you can expect tough challenge from ESFA if it finds poor governance. One key source of guidance may be sitting quite close to you right no – your college clerk or governance manager. I want you to cherish them, respect them and look to them to help drive up the achievements of what you do. They aren’t just there to take the minutes. Like company secretaries, they’re critical to board performance and good governance practice. Do heed their advice and value their expertise. Are you investing in their development? Supporting them to get professional qualifications? Take advantage of opportunities such as the Governance Professionals Development Programme. If you have a strong and experienced clerk, why not encourage them to mentor or coach others? We’ve funded the well-received Saïd Business School leadership programme at Oxford University for principals. We want to extend that investment to reflect the importance of non-executive leadership as well. With the Education and Training Foundation, we are working on a tiered programme of development for governors. This will provide comprehensive and tailored support from induction to advanced governance skills. We’ll start to rollout that programme later this year. Many boards have found the support they have been able to access from National Leaders of Governance incredibly valuable. We want to build on this success by aligning the scheme more closely with the National Leaders of Further Education programme and other government-funded improvement support, including the Strategic College Improvement Fund. The funding and management for all National Leaders in further education will be brought together within the Department, allowing the Education and Training Foundation to focus on its core role of developing people rather than institutions. Governance codes set the standards of good practice for you to meet and indeed exceed. Used well, codes can be a powerful tool for improvement and not just a box ticking exercise. Many boards have adopted the AoC’s own code of governance. But how do you assure yourselves, and those who have a stake in your work, that governance is strong? We want to work with you to identify and pilot the most effective approaches to self-assessment and external assurance of governance. And we’ll add the Charity Governance Code to the options under the college accounting rules. As someone who had would could be described as a feminist awakening in later life, I was pleased to see that board diversity is included in today’s programme. As we mark the anniversary of votes for women, it’s encouraging that the proportion of female governors is already well ahead of the target for women on company boards – although still less than 50%. But it’s disappointing that women only make up 30% of college chairs. So we still have work to do to close the gap. This is an area where I want to see continued leadership from the sector, focused on all under-represented groups. Board diversity isn’t just about a better balance in the representation of people from different backgrounds. It is not about being politically correct – it’s about boards being informed, strengthened and enriched by the best possible mix of skills, experience and perspectives. We’ll continue to work with you, and with others such as local authorities, to support initiatives to attract a broad range of high-quality governors. I’d like to conclude with another inspiring example. At the World Skills show last year in Abu Dhabi, I had the privilege of meeting some previous World Skills competitors, one of whom had been under significant pressure from his school to pursue a university education (he had very high GCSE achievement), but instead decided to make the choice to pursue further education in bricklaying. Having achieved a gold medal at World skills, he then joined a construction and development company and was managing multi-million pound projects by the time most students would be graduating. Suffice it to say, the Head teacher had the grace to apologise for his blinkered view, but what a fantastic example of how an FE college can lay the groundwork for a fabulous career! I’m grateful to Atholl and the Governors’ Council for inviting me here today. Do not ever limit the ambitions of your college. Get onto the Board the inspiring leaders from local business, younger people, people who are building the futures of their own children so they can bring their expertise to build the futures of the children in the local community. Strong effective leadership and financial management builds strong, effective colleges so that everyone, whatever their background, wherever they come from, has a future they can be proud of.